Minister for Sports the Hon. Emmalin Pierre, has commended the effort of Kurt Felix at the IAAF World Championships in Beijing, China. Felix finished 8th in the Decathlon with a new National Record of 8,302 points in the event. The Decathlon consists of 10 events over 3 days, and the winner is often called the World’s Greatest Athlete, due to their ability to perform well in each of the 10 disciplines. 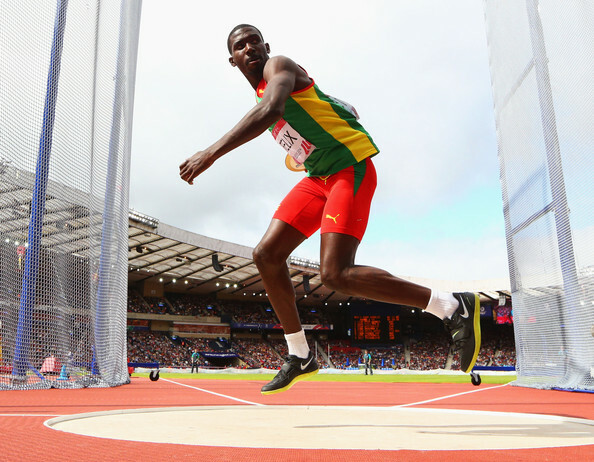 Felix, who hails from the village of La Femme in St David, secured a bronze medal at the Commonwealth Games in 2014. He also represented Grenada in the 2012 Olympics in London. Team Grenada is now focused on several major sporting activities for the year 2016, including the Carifta Games which will be held in Grenada at the new athletics National Stadium, and the Rio Olympics. Minister Pierre also took the opportunity to congratulate the entire Grenada team, who represented at the World Championships — Kirani James, Bralon Taplin and Kurt Felix, as well as their coaches and managers and families. The Minister said that they can all be assured of the continued support of the Government and people of Grenada as they move forward.